Fleas can arrive on the backs of unexpected guests. Pigeons, seagulls, foxes in the garden. 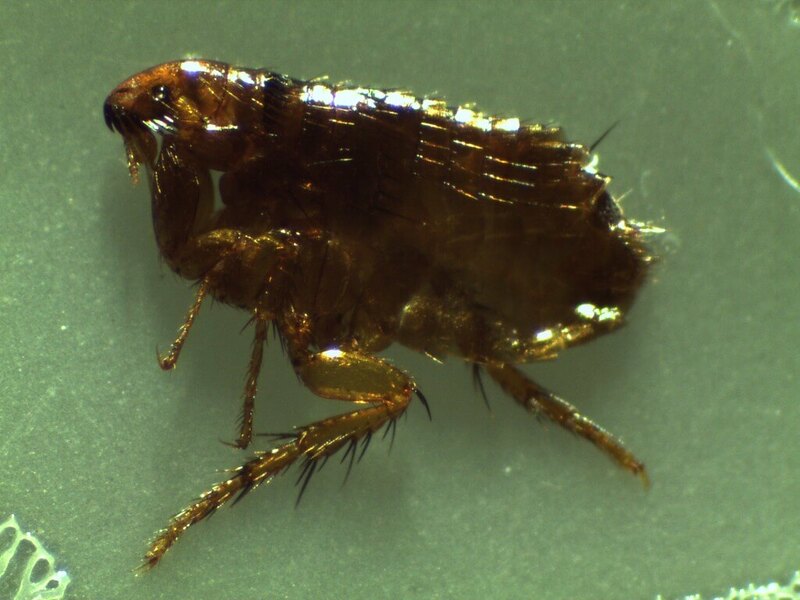 As weather continues to warm up, Flea pests in the Bristol area are on the increase. The animal hosts that fleas live upon are enjoying longer periods of activity in the warmer weather, which has th knock on effect of helping sustain an increased flea population. A flea is flat side to side. They have spines that point in one direction making them harder to remove from animal fur. Flea eggs can hatch almost instantly when they sense nearby heat or vibration. Fleas often only jump onto animals for a quick snack. They often then hop back off before the bite is even noticed. So if you see a bite the flea has often already departed. Search pet bedding or material near to where animals sleep. Fleas can, however, hang around on humans for up to around 24-48 hours. Fleas will bite and drink their hosts blood and leave tiny pin head sized black blood pooh. Fleas often feed around the base of a pets tail or the back of its neck. Comb these areas with a flea comb regularly to remove the eggs and fleas. Regular cleaning of clothes or fabrics will help remove flea populations, eggs and larvae. Bonus point - fleas can build up a resistance to popular Frontline insecticides very quickly.